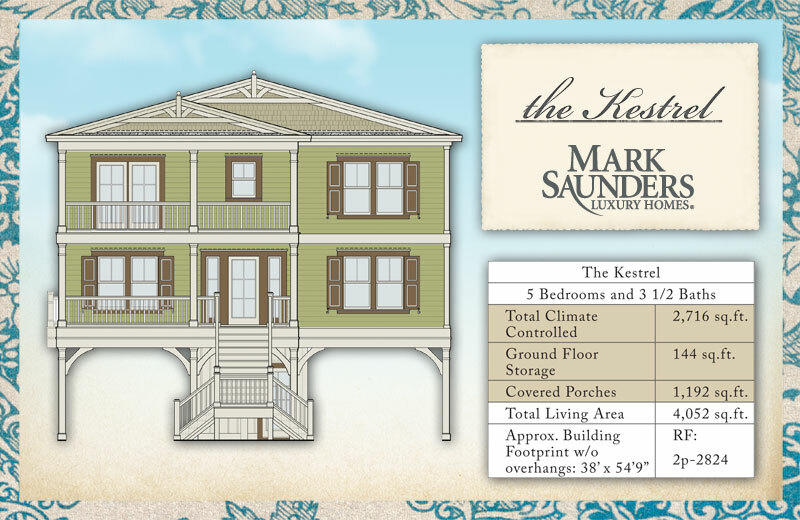 The Kestrel is a two-story Coastal Carolina Island Home. 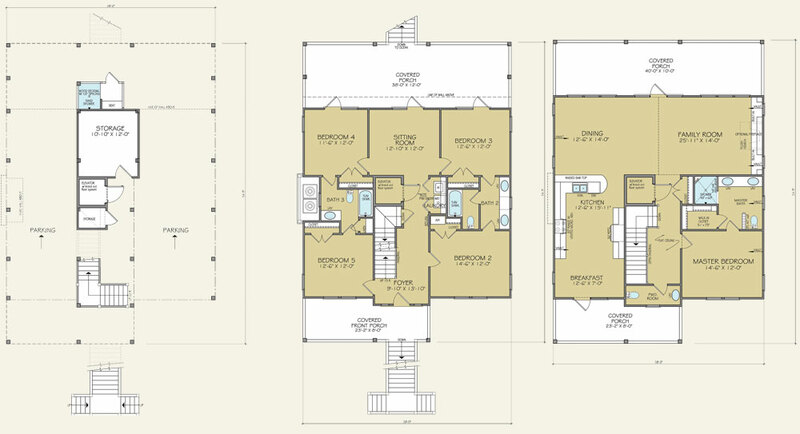 The inverted floor plan features the primary living area on the upper floor, with a beautiful master suite and an impressive open family space, including the kitchen area with a breakfast nook, dining area and family room, all opening up to one of the large covered porches for extended outdoor living space. Additionally, two sets of guest bedrooms with Jack-and-Jill baths and a unique sitting area for a retreat or leisure space on the lower level contribute to the perfect design with enviable views of the Atlantic Ocean and the marsh or waterway, ideal for an ocean, marsh, and waterway or canal homesite.